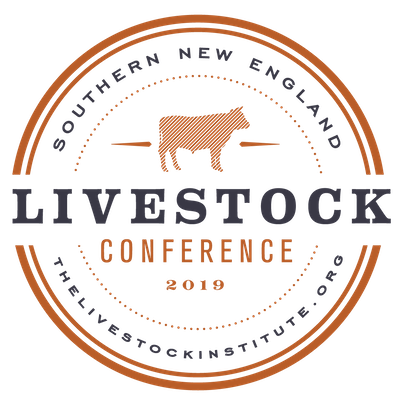 This full day event will bring together some of the most knowledgeable farmers, consultants and experts in the Southern New England region. The Livestock Institute is providing a wide range of expertise, networking opportunities, and learning, and we are excited for some of our Members to be involved! Derek will talk about Chefs Collaborative & his own mission to make a positive impact on the food system through his work with local farmers. He will speak about the farmer support driven methods he has implemented at Nicks on Broadway, focusing on his own experiences with meat sourcing, production, education & better meat practices. He will talk about what he’s learned, the challenges he & many chefs & farmers face, and how it has shaped the way he sources, cooks, writes his menus & thinks about food. David Dadekian, a passionate food & farm advocate and the founder of Eat/Drink RI, one of the top media, marketing and event production companies in Southern New England will moderate this panel of experienced chefs and farmers. These discussions will focus on how they support our local food system, some of the farmer/chef obstacles they currently face, why we want & need more local meat, and share their strategies on what they look for, why, and how they’re getting what they’ve harvested to restaurants and retails outlets. The audience will be able to ask questions to the chefs & farmers, this session should be interactive & action packed! Join our keynote speaker and panel to continue the discussion surrounding the Chef’s Collaborative and working together to better our local food system. David Dadekian will moderate this panel of experienced chefs and farmers. These discussions will focus on how they support our local food system, some of the farmer/chef obstacles they currently face, why we want & need more local meat, and share their strategies on what they look for, why, and how they’re getting what they’ve harvested to restaurants and retails outlets. The audience will be able to ask questions to the chefs & farmers, this session should be interactive & action packed!